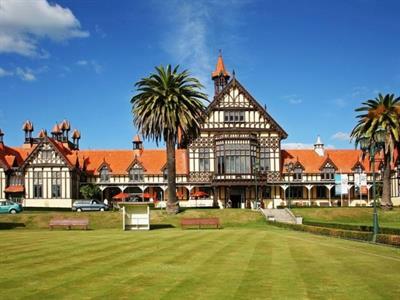 Te Puia, the home of the Maori Arts and Crafts Institute and the location of the famous Pohutu geyser. We visit the carving school and see craftsman fashion traditional wood carvings, then move on to watch Maori women demonstrate flax weaving. 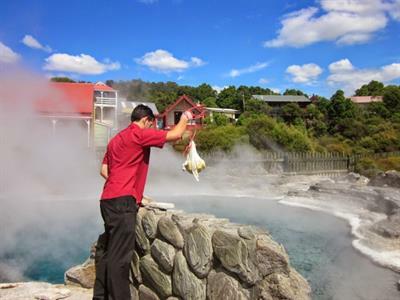 A short walk through the geothermal valley of Whakarewarewa to view the mud pools, the famous Pohutu geyser and hot pools that make Te Puia unique. See New Zealand's iconic flightless bird, the Kiwi in a purpose built kiwi-house. Explore the recreated traditional Maori fortified village. 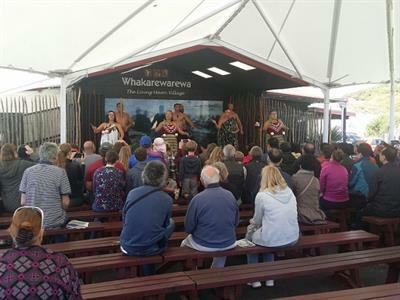 A Maori Cultural Performance will be given on the Marae, in one of the few fully carved meeting houses in New Zealand, a place of special spiritual significance to Maori. Here you will see the traditional songs, dances and demonstrations of fighting skills [including the Haka] performed. There is time at Te Puia to enjoy a light lunch at their cafe. [at your own cost]. 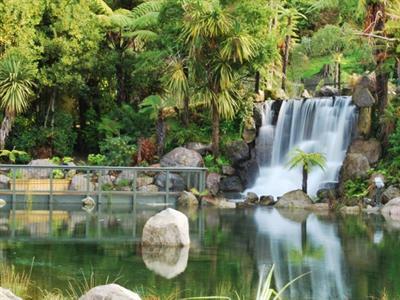 After lunch we drive through Rotorua City to the Rainbow Springs Nature Park. 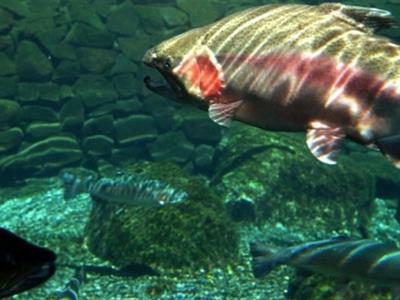 This is a great location, not only for the amazing Trout that can be seen in the natural springs, but also for the wide selection of native New Zealand wildlife you can see. There is also the new Big Splash water flume ride to enjoy.